Every child deserves a champion. This philosophy is the driving force behind a new RMC mentoring initiative that aims to pair Rocky students and faculty with at-risk children at Highland Elementary School. Aptly named the “Bears and Cubs” program, students and staff (the “Bears”) are asked to commit to at least one hour a week with their “Cub,” during this time they can work together on schoolwork, eat lunch, and even play games at recess. The ultimate goal is to facilitate a mentor/mentee relationship between the two. The national BBBS organization was started more than 100 years ago in 1904 by Ernest Coulter, a concerned New York City court clerk who was troubled by the number of delinquent boys who were passing through the court system. He organized a group of 39 volunteers who each mentored one boy for a year. By 1912, the New York Times reported that the Big Brothers program had made its way to 12 more cities. Today, this association is located in almost every state, including Montana, and has also moved overseas into 12 countries. Typically, it serves around 245,000 children each year, pulling from a pool of children who are considered to come from disadvantaged backgrounds. The BBBS program of Yellowstone County, which has been in place for almost 30 years, targets youth between the ages of 6 and 18 who are considered “at risk.” This indicates that they come from a low-income background, a single-parent household, or have a history of suffering from abuse and/or neglect. For the Rocky Bears and Cubs program in particular, elementary students are recommended by teachers who recognize that the students may need a positive adult role model in their lives. Studies published by Salem Valentino in his “BBBS Report to America” have indicated that children who participate in the BBBS program are 46 percent less likely to use drugs and 27 percent less likely to use alcohol. Children in the program have reported hitting others one third less often, and they also report skipping half as many days as they did outside of the mentorship program. Mentees show marked improvements in self-confidence, and their grades often show improvement. Perhaps most importantly, most of the young students in the program report having a better relationship with families and peers as a result of having a mentor. Raymond added that Bears and Cubs “is a great opportunity for anyone because of how flexible the schedule is. It works for students with very little time, to ones with loads of time.” However, says Washburn, Cubs are not the only ones who benefit from the program. “Bears and Cubs is a wonderful way to help at-risk kids get through school by assisting with homework, [and by] being an inspiration and someone to look up to. 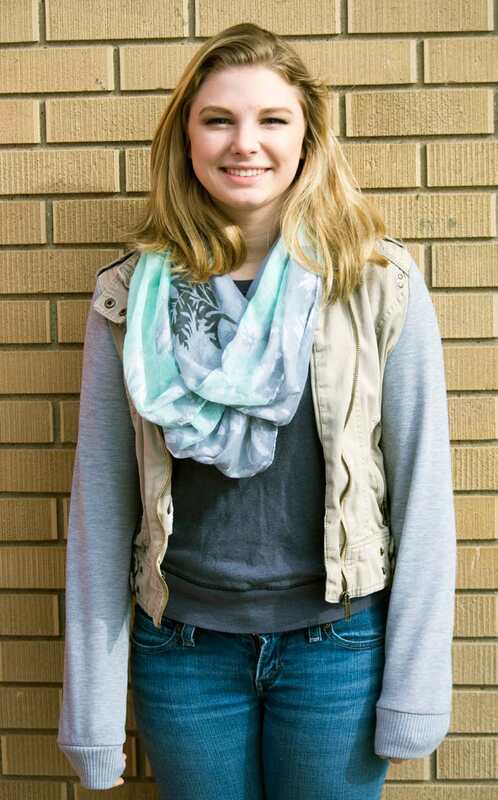 I think Rocky students get as much out of the mentoring program as the elementary students do,” she said. This entry was posted in Issue 14. Bookmark the permalink.